Home » Altcoins » What Is Decent Coin (DCT)? The Decent Network is a content distribution platform that is decentralized and uses open source and block chain technology. Blockchain technology guarantees trust and security by embedding encryption at the lowest level. Perhaps the biggest advantage of this implementation of Blockchain technology is the invariant storage of published content that can eliminate manipulation and influence by any kind of intermediary, such as publishers. In addition to the technological side, there are the economic and social protocols that regulate real interactions via the network. In order to make transactions viable and user-friendly, a crypt token, the Decent Coin (DCT), has been implemented. Encrypted decent coins help mitigate attacks, promote funding and ensure transaction validation. The Decent network is based on the Delegate Proof-of-Stake-Consensus mechanism (dPOS) with a block size of 2 MB and a time interval of five seconds. Compared to production-based proof-of-work algorithms (PoW) that require computing power for hashing in the Decent network, the miner community matches computing power in proportion to its share of Decent, also known as DCT volume, regardless of its computing power. 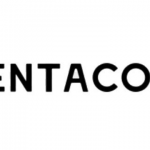 The Decent company is a decentralized open source content distribution platform that allows anyone to sell, buy or share content without intermediaries. With Decent, authors can distribute their content directly to consumers with blockchain technology and a modified version of the Bittorrent protocol without cultural, geographic or political restrictions. Decent has a number of advantages over traditional platforms, including the steadfastness of censorship provided by Decent’s decentralized nature. There is no single server that can be disconnected or isolated, making it impossible to affect the nodes of the network. Decent allows consumers to get content at a lower price and content creators receive 100% of revenue. In addition, there is no central authority that dictates what content is worth what, which means that content creators can express themselves as they want, regardless of how companies or governments think about it. The Decent Software Sale provides the ability to become part of the decentralized media future managed by the technology. By participating in Crowdsale, the user not only helps Decent become an independent and secure content publishing network for everyone on the planet, but also becomes an active participant in the digital revolution, the company said. The company’s mission is to provide a vertically integrated system for organizations, businesses and industries through a reliable and trusted digital content distribution platform. She tries to get rid of world censorship using blockchain technology, anonymity and P2P networks and helps society to return freedom of speech. You can’t buy it directly for fiat on any exchange. You can choose the best BTC exchange for your region and buy BTC there, then trade it for DCT on exchanges. Read here how you can quickly convert other coins to bitcoin and the other way around. 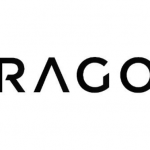 What Is Aragon Coin (ANT)?